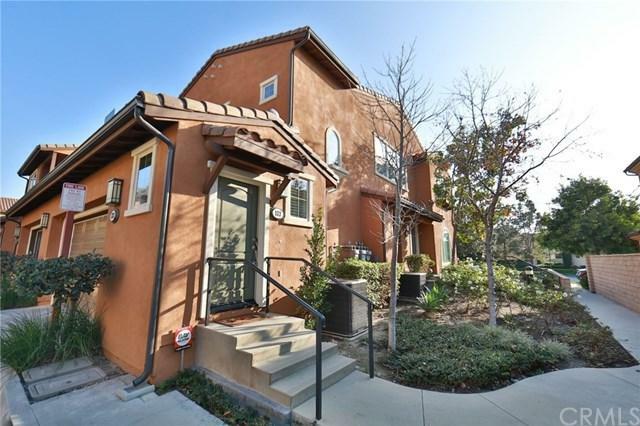 Stunning 3 Bedroom end unit Town Home located within beautiful village of Portola Springs.This highly upgraded home has crown molding, plantation shutters, Hunter Douglas silhouette window coverings. Open floor plan seamlessly connects living, dinning, and kitchen area and shows light and bright.Gourmet kitchen is a chef+GGs dream with upgraded stainless steel appliances and beautiful custom full backsplash.Living room with cozy fireplace connects to the spacious balcony with tree line and park view great for morning cup of coffee.Huge master suite boasts dual vanities, custom glass tiles, and walk in closet with built in California Closet organizers.Two car attached garage with Epoxy floor. This beautiful home is conveniently located just across from the community park and a short walk to tons of resort like amenities as well as award winning Portola Springs elementary school. Sold by Regina Chen of Homesmart, Evergreen Realty.